Over the years, I've created a number of software or other digital products related to my Niche Pursuits audience. (I've created MANY more physical products that are totally unrelated to Niche Pursuits that I sell on other sites I own). With that, here's the products I created…most recent on top. Organic Traffic Formula is an online training course that I and my team created to teach you exactly how to get tons of free organic traffic to your website. This is an in-depth video training course that will take you step by step how to build, rank, and monetize your sites better. Perhaps the best part is that this course is not only taught by me, but also by Jake Cain and Jason Wilson (my 2 employees). These guys both have sites on their own making over $10,000 a month, and we all share our most critical strategies for building a great site. Check out Organic Traffic Formula Here. I created the AMZ Image WordPress Plugin as a really fast and simple way to insert Amazon product images right in your WordPress content. You get great looking pictures in your content, without all the hassle. It's Amazon compliant because the images are pulled from the Amazon API, and you can make more money because your images will be monetized with your Amazon Associates link. You can read more about how AMZ Image can help you here. I created Table Labs as a super simple way to create and insert Amazon product comparison tables right into your website. Just copy and paste,.no coding skills required. I got really sick and tired of manually creating tables with Table Press or some other WordPress plugin. I used to spend a couple hours on a large comparison table, now it's done in 5 minutes or less. Oh, and the Table designs look amazing! If you want a faster way to monetize your Amazon Associates site with great looking product comparison tables, read more about Table Labs here. I'm not a guru, but I did create Niche Pursuits Insider to teach what I know about creating niche sites and building online businesses. If you want a training course that will take you step by step how to build a profitable website from scratch, then Niche Pursuits Insider is for you. My team and I have recorded tons of training videos and we do ongoing monthly webinars. If you are looking for some training, but more importantly a group you can turn to when you have questions or need motivation, you should join Niche Pursuits Insider here. I created Long Tail Pro as a faster way to do in-depth keyword research back in 2011. The software has been constantly updated and improved since then. Even though I sold most of the company back in 2016, I still use the software and love it. If you are looking for blog post ideas or how to better optimize the keywords on your site, Long Tail Pro is a great tool to help with that. 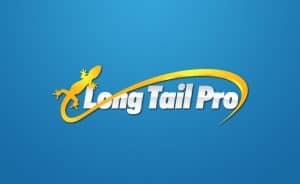 See what Long Tail Pro is all about right here.